quite possibly the best blog you will ever stumble upon. 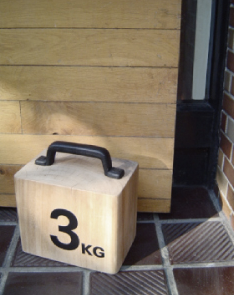 : A door stopper and weight thing! Sticking to our constant theme of double use items, check out this cool Moku Tank by Landscape Products (from Japan, of course). 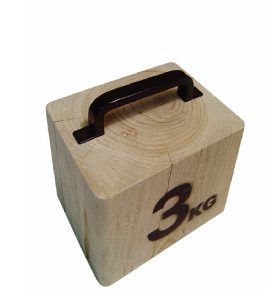 This cool little tank comes in 3KG and 5KG and can be used as a door stopper and a free weight! You could also probably use it as a paper weight. You could also take it to the beach and put it on your towel so it doesn't blow away in the wind. Hmm. Let's see. You could also use it to, uhh, weigh down things that need to be weighed down? Anyway, I'll let you decide!